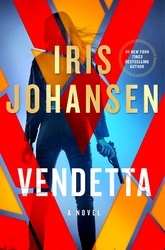 With his dying breath, Carl Venable, head of the CIA task force on terrorism, gives Jude Brandon a mandate: Keep his daughter, Rachel, safe at any cost. But Rachel Venable’s own shocking past comes rushing back after her medical clinic in Guyana is attacked by terrorist ringleader Max Huber—the man who murdered her father and imprisoned her for months. Brandon and Catherine Ling are determined to keep Rachel out of danger, but it’s impossible to stay hidden when Max Huber wants you dead. As Rachel and Brandon race the clock to bring Huber down before he can orchestrate a nuclear explosion, they fight a growing—and dangerous—attraction to each other in this explosive, fast-paced novel of dark secrets and tangled lies.